Something dark and shiny with perhaps a hint of mystery, this is the first blind I've done in purple but as usual, it should recolor easily to fit your particular mood or taste. The emphasis on this blind, besides the appearance, was skinning every possible component available for all Windows OS's. 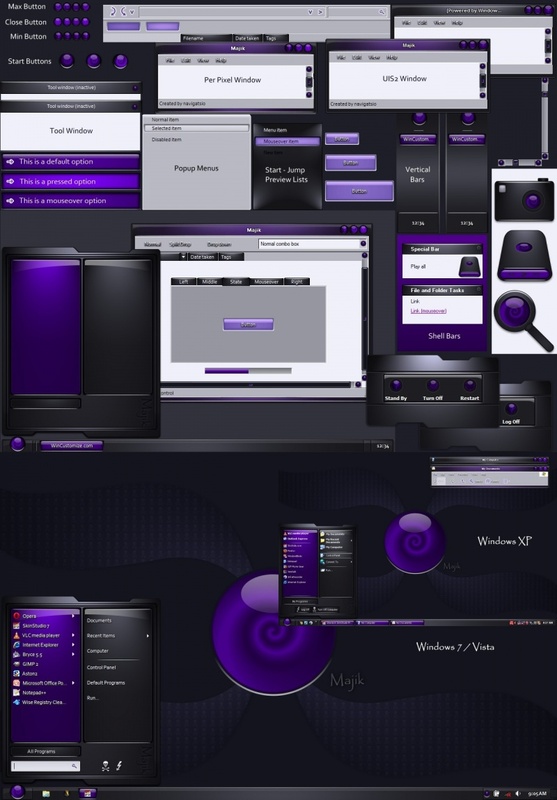 Nice duet of purple and black Nav....I like it! Looks really great! Love the purple! Great work and effort. Top of the charts.